Preface. Introduction. Linear Mixed Models: An Overview. Two-Level Models for Clustered Data: The Rat Pup Example. Three-Level Models for Clustered Data: The Classroom Example. Models for Repeated Measures Data: The Rat Brain Example. Random Coefficient Models for Longitudinal Data: The Autism Example. Models for Clustered Longitudinal Data: The Dental Veneer Example. 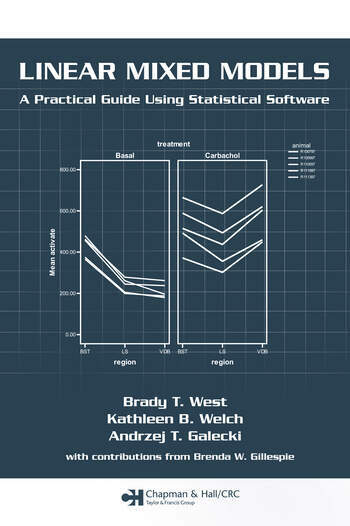 Appendix A: Statistical Software Resources. Appendix B: Calculation of the Marginal Variance-Covariance Matrix. Appendix C: Acronyms/Abbreviations. References. Index.